Recently my wife and I visited Dollywood in Tennessee. We had a great time, watching the shows and viewing all the Christmas lights. Shortly after returning from Dollywood, we put up our own lights. They do not compare, but they are nice. As I mentioned in my earlier post, we are watching through the Christmas movies. Now I believe the reason for the season is the celebration of the Birth of Christ. I am a movie watcher and enjoy many types of movies. One of my favorites is the classic film, Miracle on 34th Street. I will post about the movie a little later. 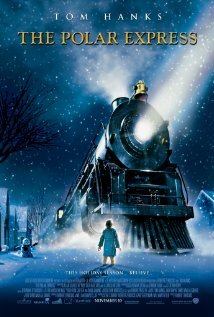 Tonight I will be talking about the Polar Express. There was a ride at Dollywood, for the Polar Express, it was a 4-D movie. The seats were set up to make you feel like you were on the train. Racing through the mountains up and down and side to side. It was tons of fun. The movie itself is pretty good too. I really enjoyed the special effects and the animation. My wife and I enjoyed the film very much. I hope everyone checks out this film.